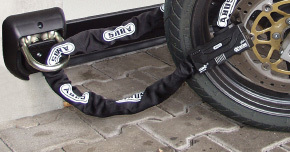 Anchors - whether mounted to the floor or wall - offer an excellent means of securing your motorcycle, scooter or bicycle inside your garage or in your yard. 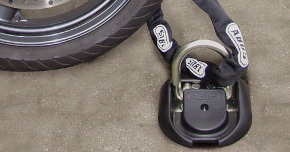 Once fixed in place, ABUS anchors are extremely difficult to remove, making them an a secure point to afix a chain and secure your ride. Anchors are especially useful in cities where garages are often the target of theft and can provide the extra layer of security to keep your bike or motorcycle secure when your bike is in not in use.